Of these, the agency was able to detect 2,400 in finished clothing products. Five percent of the chemicals found are potentially hazardous to the environment and 10 percent of the 2,400 chemicals found in finished clothes may harm human health, the agency says. Making these coloring agents adhere to fabric also often involves using poisonous solvents, fixing agents, salts and large quantities of water. Lab animals exposed to some of these dyes exhibit adverse health effects, including allergic reactions as well as reproductive and growth problems ( pdf ). The EPA has declared one commonly used clothing dye ingredient, benzidine, and its derivatives to be reasonably anticipated to be human carcinogens. Dyes that contain it, along with other so-called azo dyes, are banned from import by the European Union. Such chemicals may leach from clothing into skin and are also found in textile dye factories wastewater which is often dumped directly into the environment without treatment. 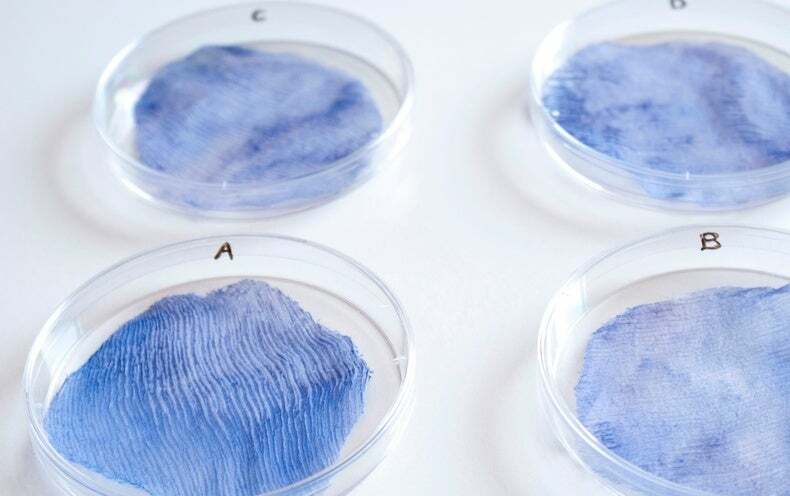 Some researchers think bacteria might also help mitigate the dye problem. Innovators including Cecilia Raspanti, co-founder of TextileLab Amsterdam ; Laura Luchtman, owner of textile and design studio Kukka ; and Natsai Audrey Chieza, founder of biodesign lab and creative research agency Faber Futures are using naturally pigmented bacteria to dye natural and bioengineered textiles. Luchtman says her process involves autoclaving a textile to prevent contamination, then pouring a liquid medium filled with bacterial nutrients over the textile in a container.